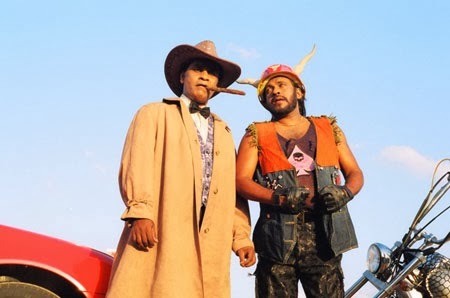 Bandu Samarasingha and Tenison Kooray are the most famous comedy actors now a days in Sri Lankan Sinhala films. 'Ra Daniel Dawal Migel' movie series are the most successful of them. According to Bandu samarasingha he has done more than 30 movies along with Tenison Kooray. How ever Bandu's latest movie 'Peter One' instead of Tenison Kooray another comedy actor Rodney Warnakulasooriya acted. During a ITN TV program Bandu was questioned about this change, the video is in the second page and you can watch it if you need. Bandu Samarasingha is one of the famous Sri Lankan comedy actors in our Sinhala Cinema. He entered to the Sinhala film industry in 1973 from 'Sadahatama Oba Mage' movie. Today Bandu is a film Director, his latest movie is ' Peter One' . Since 1973 Bandu has done the main role in total of 16 Sinhala movies. 'Seetha man awa' the movie of Jayasekara Aponsu also one of the Bandus best film.